The Words stock books, toys, gifts, stationery and arts & crafts at discount prices, and sell over one million of our products every week to consumers looking for a bargain. Serving over 22.5 million people each year, including families and people of all ages, Everyone loves The Works, because you can browse our stores and always find something different – from educational products to great gifts. 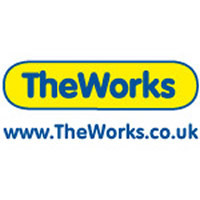 The Works Stores Ltd. is a privately funded company whose main shareholders are Endless LLP. With many stores around the country their store locator is a useful resource if you want to view a product in person, before buying online.